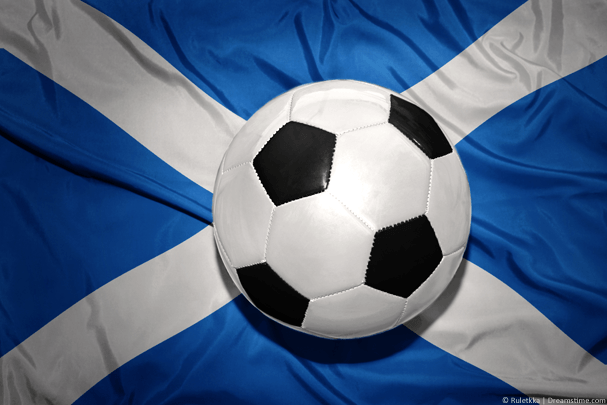 If you’re a Scottish football fan then without question one of the biggest games of the year is the Scottish Cup Final. This year Celtic take on Motherwell in what promises to be an exciting match. If you’re abroad then your options for watching the match can be extremely limited. Although it’s being shown for free in the UK, in most other countries it isn’t being shown at all. Although Steven Gerrard has recently been appointed as Rangers manager it seems interest in Scottish football is still a shameful afterthought. Not to worry though because in this guide I’m going to show you how you can watch full English language commentary on the official BBC stream no matter what country you’re in. So no matter where you are in the world, if you want to watch the Scottish Cup Final abroad, read below. The Scottish Cup Final is being shown live on BBC One Scotland which means it’s also being streamed live online on BBC iPlayer. If you’ve ever tried to access BBC iPlayer outside Scotland or the UK as a whole then you’ll know it’s blocked from being watched. It is however possible to unblock BBC iPlayer in any country so it doesn’t matter if you’re in Spain or Greece, Thailand or Australia or America or Antarctica, you’ll be able to watch in any country. To do this you’re going to need to download an app called a VPN. A VPN will cost you a couple of pounds (charged in US Dollars) but will allow you to watch the entire final live online. For a few quid you get access for a full month so you’ll be able to watch the Scottish Cup Final, FA Cup Final, UEFA Champions League Final and the Fifa World Cup abroad plus more if you wish. A VPN will work on Android and Apple tablets and phones and also Windows and Mac computers and laptops. You can even watch on a Smart TV if it has BBC iPlayer on it but we’ll explore more about that later in this guide. To watch the Scottish Cup Final you just need to follow the 5-step instructions below. Visit the VPN provider NordVPN and sign up to their service. You can get 30% off a 1-year account using the code VPNComp17. Go to the VPN Apps area of the NordVPN website and download and install the correct app for your device. On the map locate and click on the United Kingdom. The app should make auto connection for you but if not press the Connect button. It doesn’t take any longer than 15 to 30 seconds for the app to connect. Once it’s connected all you need to do is visit the BBC One Scotland live stream page at the time of the match and you’ll be able to watch from anywhere in the world. Below you can see an example video of how to connect to BBC iPlayer abroad. I used a Windows PC but the Mac software is the same and it’s even easier on a mobile device. There are a few reasons why you may still have issues watching but most of these can be resolved easily. If you experience any issues check these most common solutions below. If you’ve previously tried to access BBC iPlayer while abroad before using the VPN then your web browser will remember that you’re not in the UK. To fix this you should open your web browser in InPrivate or InCognito mode. You can do this by going to the settings menu of your web browser and searching for private browsing or incognito modes. You should then follow the steps above as normal. In the unlikely event that the VPN server you connect to is blocked, you can simply change to another. On the NordVPN app select Countries. From the list click the 3 ‘burger lines’ option next to United Kingdom. Select and connect to any of the servers in the list. Then revisit BBC iPlayer in a new web browser window. If you’re having trouble watching the live stream you should first play a few seconds of any other TV programme on the BBC iPlayer website. Once it has passed the “trailer” and started playing the correct programme you can go back to the Scottish Cup Final live stream. The Scottish Cup Final 2018 will take place on Saturday, 19th May 2018. Kick-off is expected to take place at 14:00 BST (UK Time) which is 15:00 on mainland Europe. The Scottish Cup Final is on the same day as the FA Cup Final, but as the FA Cup is played after the Scottish Final you’ll be able to watch both matches abroad if you wish. It’s also taking place on the same day that Prince Harry and Meghan Markle get married so if your wife or husband wants to watch coverage of that rather than the football then they can do so too. You can use the NordVPN subscription on 6 devices at the same time. This year’s Scottish Cup Final is between Celtic and Motherwell with Celtic hoping to do the unthinkable and win the treble two seasons in a row. Motherwell is clearly the underdog for this match and after Celtic brushed aside Rangers at the weekend they will go into the final on a high. Motherwell shouldn’t be discounted too soon though as they’ve got every chance of throwing an upset in the final. Motherwell’s Curtis Main is certainly in high spirits after their 3-0 win over Aberdeen at the weekend claiming that they fear no one. In reality though Motherwell will be hoping that their 2-0 League Cup final loss to Celtic back in November won’t be repeated this time. If you’ve got a Smart TV and you want to watch the Scottish Cup Final then it’s possible but your Smart TV will need to have the BBC iPlayer app installed. If it doesn’t this method won’t be suitable. If you do have the BBC iPlayer app on your Smart TV then follow the instructions below to watch the Scottish Cup Final abroad. Visit the SmartDNS provider StrongVPN and sign up to their service. Once you’ve signed up go to the Strong DNS Members Area and sign in. 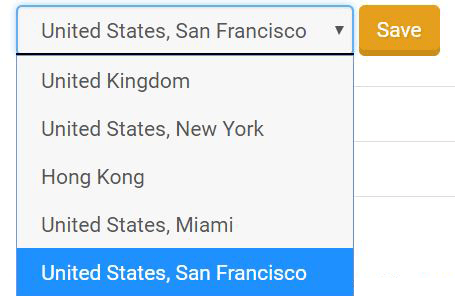 In the drop down box select the region physical nearest to you and press Save. Write down to the two sets of numbers next to Primary and Secondary DNS. On your Smart TV go to the Settings and Network/Internet settings section. Locate the DNS Settings section and edit the options. Enter the two sets of numbers you wrote down from the Strong DNS website. Save the settings and restart your TV if required. Now open the BBC iPlayer app on your Smart TV and you’ll be able to watch the Scottish Cup Final abroad. Watching the Scottish Cup Final abroad is a lot easier than you would imagine and you can watch on the official BBC stream with English commentary. To do this you’re going to need to get an app called a VPN. A VPN allows you to change your location and appear elsewhere. Say for example you’re in Spain, you can use a VPN to pretend you’re in the UK and watch on BBC. Just click the button below to get my recommended VPN for watching and then follow the 5 simple steps from earlier in this guide.